“You educate a man; you educate a man. You educate a woman; you educate a generation.” told by Brigham Young, an eminent American leader. Mody University Science and Tecnology also believes this thought. 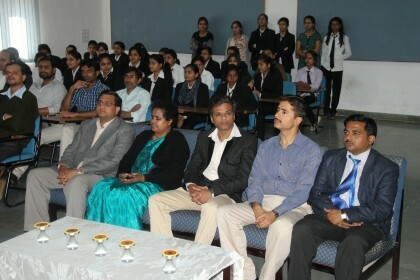 The Faculty of Laws and Faculty of Art, Science and Commerce took a step forward to ensure their believes and the mission to avail quality education with high class technology to women, and to motivate their existing student, by celebrating ‘International Women’s Day’ and ‘Farewell ceremony of final year students’ on 8th March, 2014. The major landmark of this event was the presence of Raman Magsaysay award winner, Shri Rajendra Singh. He congratulated the final year students and wished them for their bright future. Many eminent personalities from the field of law, arts, science and commerce were invited in this event, to share their knowledge with the students. University Vice-Chancellor Dr. N.V. Subba Reddy, Dean of Faculty of Law Prof. Satish Chandra Shastri, and Dean of Faculty of Art Science and Commerce Prof. Dr. Sunil Jakhoria were there. Dr. Reddy welcomed the chief guest Shri Rajendra Singh Ji, the ‘Waterman of India’, who won Ramon Magsaysay Award for community leadership in 2001 for his pioneering work in community, based efforts in water harvesting and water management. He delivered a lecture on water management, on this very occasion. He titled the topic as ‘Nir, Nari evwam Nadi’ (Water, Woman and River). According to him, water is the base of a life, similarly as woman. Woman and Water both created the world. He gave lessons how and why to reserve water and also encouraged them for education, to become a successful woman. 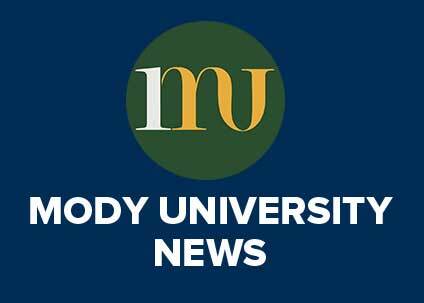 Mody University is always trying to establish itself as an efficient platform for promoting woman education and consuming a sense of competition among the girls so that they don’t lag behind the boys in any field. 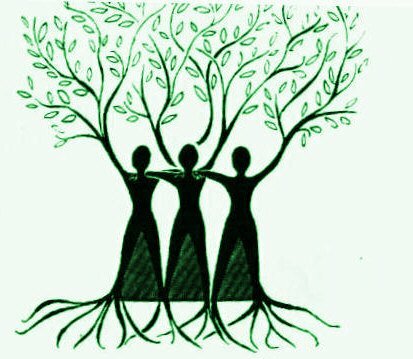 To motivate the students and tell them that they are ‘Woman’, the base of the world, they are powerful, they can achieve anything they want, the university is there to enrich their power and talent. In this occasion the authority of the university took the oath again to make the university the best place for the girls, by providing the best quality education with high class technologies under traditional and healthy environment. This event definitely was an encouraging and motivating session for the students of FOL and for the faculty members too.